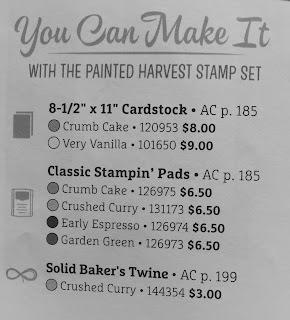 I love that the Stampin' Up! Holiday Catalog is also an IDEA book! Here is a sample that I made using the Catalog photos. It's so fun when you see a card that you want to duplicate and you already own all of the "ingredients" to make one yourself! Holding a card in your hands is always better than seeing a photo. 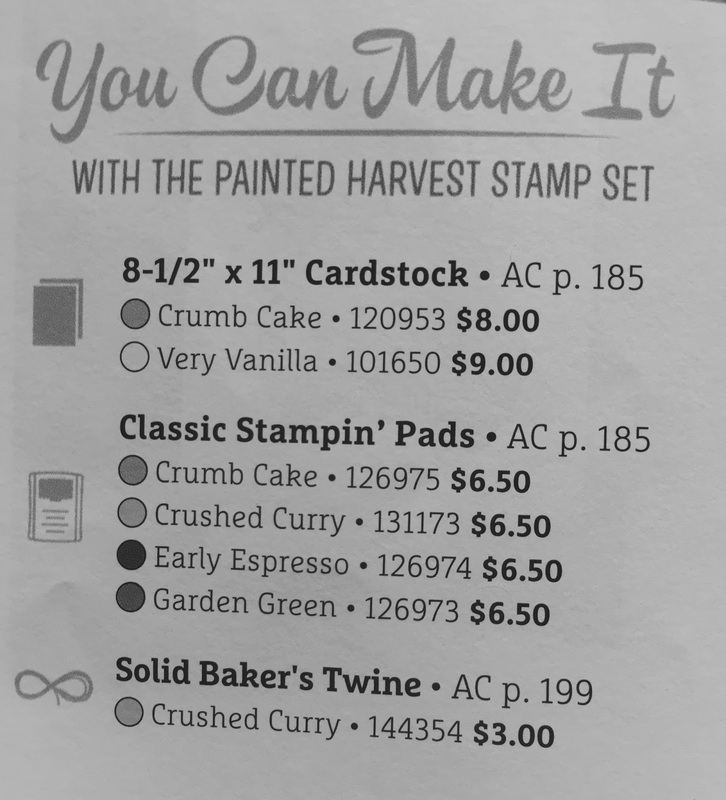 On several catalog pages you will see a little area like this one where it tells you all of the supplies you would need to make the sample card. Makes it easy to shop right from this list, too! This is also an easy card to mass produce, so if you wanted to give everyone in your family a nice Thanksgiving greeting, this would be quick yet beautiful! Thanks for stopping by today! I hope you will come back again soon. 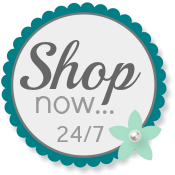 Shop my Online Store any time!